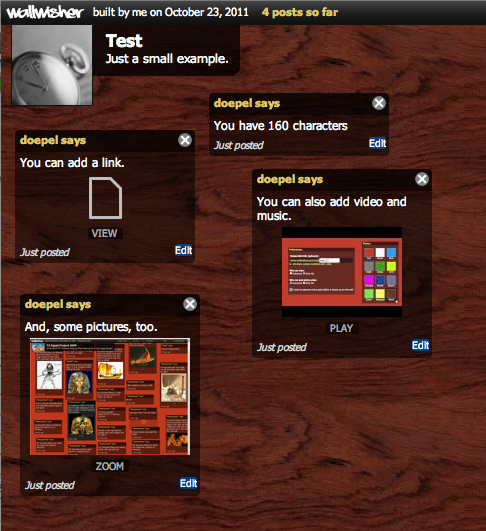 The idea of Wallwisher is quite simple - an online notice board. Notices can be left by the wall's creator or by anyone. The creator can also opt to review other peoples' submission. A Wallwisher wall looks like this. Posted in Allgemein on 23. Oktober 2011 by . Voxopop is a tool allowing you to start so-called talkgroups. These groups can be public, restricted or private. Other users can record their contribution. All contributions appear in a stream, if the stream is played, all parts of the conversations played back in a row automatically. So, a talkgroup is like a asynchronous discussion group. Posted in Allgemein on 6. Oktober 2011 by . Hier eine Spycynode map zum Thema "Lesestrategien". Eine Sache, die ich aber gelernt habe, ist, keine Nodes miteinander zu verbinden, sonst kommt man in einen Teufelskreis. Posted in Allgemein on 5. Oktober 2011 by .